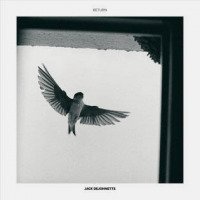 "Tango Africaine," from The Jack DeJohnette Group's download-only live release, Live at Yoshi's 2010 (Golden Beams, 2011). 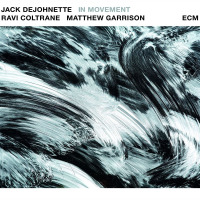 Having participated on hundreds of recordings with fellow jazz stars including Charles Lloyd, Miles Davis and Keith Jarrett in addition to collectives like Gateway and Trio Beyond, DeJohnette's discography as a leader is the focus of a week-long All About Jazz celebration. "Tango Africaine" is the second of five Download of the Day tracks that will also include selections from his just-released Sound Travels (eOne, 2012), as well as Music We Are (2009), The Elephant Sleeps But Still Remembers (2006) and Music From the Hearts of the Masters (2005), all released on DeJohnette's own Golden Beams imprint. 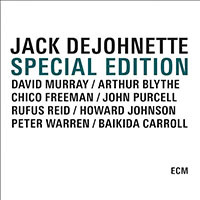 Tomorrow, January 11, 2012, AAJ's Download of the Day will feature the same track, but from Music We Are, providing an opportunity to compare and contrast two different groups performing the same DeJohnette composition. 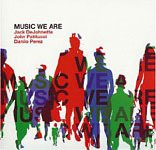 Personnel: Jack DeJohnette: drums and melodeon; Rudresh Mahanthappa: alto saxophone; Jerome Harris: electric bass, acoustic guitar; George Colligan: keyboards, acoustic piano; David Fiuczynski: guitar. One for Eric; Soulful Ballad; Tango African; Blue; Monk's Plum. 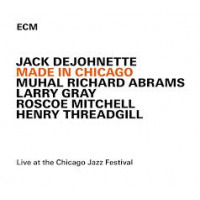 Jack DeJohnette: drums and melodeon; Rudresh Mahanthappa: alto saxophone; Jerome Harris: electric bass, acoustic guitar; George Colligan: keyboards, acoustic piano; David Fiuczynski: guitar. 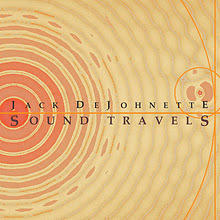 Sound Travels by Eugene Holley, Jr.